An assumption easily made is that there is only one type of double glazing on the market, when in actual fact there are different types available. So we have decided to outline the differences between them for you the customer so you can choose the right double glazing for your windows. Primary Glazing is as the name suggests, a single sheet/ panel of glass. Primary Glazing is mainly installed in period or listed buildings as building regulations restrict any alterations to these homes without firstly consulting the English Heritage. Secondary Glazing is often mixed up with the term Double Glazing. Secondary Glazing again is a popular type of glazing within older properties. It is installed to enhance the quality of the primary glazing and its energy efficiency whilst keeping the original glazing intact and damage free. It works as a barrier to help block out noise pollution that travels through the glass and helps retain heat. If you want to go all out Triple Glazing comprises of three sheets/panels of glass. This extra protection for the windows helps protect against the elements, such as harsh winters so is not often installed in UK homes. There are also different types of glass that can increase energy efficiency and decrease noise pollution travelling through your windows such as Acoustic Glass and Low-E Glass. There are 3 main types of window frames that can be installed. Obviously the type of material your frame will be made from will need to be a decision based around the type of glass installed in order to support and be aesthetically pleasing to the eye. If you use wood as your material they can easily be painted which is good for those that may tire of a certain look over time. Wooden frames are very traditional looking and help enhance the appearance massively, they work really well with traditional houses with original features. Wood is also a good insulator so helps to keep heat in the house. There are downsides to having wooden frames installed too as they tend to be thicker and bulkier frames which may reduce the amount of light let in through the window and can make small windows look even smaller. If you are not one for keeping on top of maintenance then again they may not be the right choice as they will need to be properly protected from the weather to avoid decay, retaining moisture and cracking, remember wood also warps. 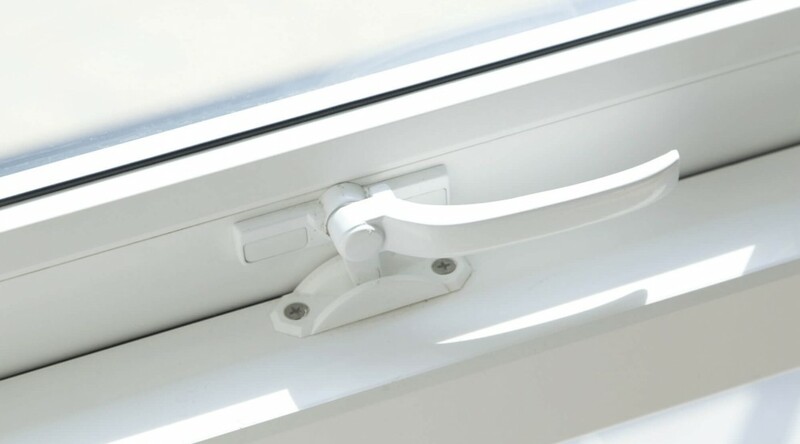 UPVC stands for polyvinyl chloride, un plasticised. These window frames are easily installed and are low maintenance. They are easily made bespoke in regards to shape and colour and there are many different choices available. Generally they are excellent insulators as many types tend to have the cavity insulated between the front and back. 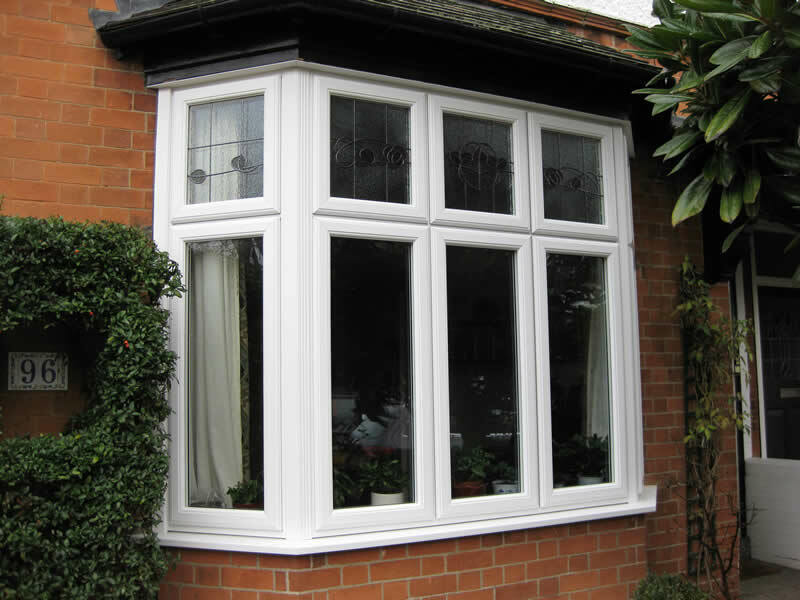 Although UPVC window frames can even come with a wooden effect they don’t always look quite as upmarket compared to wooden frames. Extreme weather changes can change the shape and and cause colour to fade and go patchy. They are also limited to certain shapes and weights of glass due to the flexibility in the frame. On the right you can see a fitted window from a happy customer who wanted double glazing in Aylesbury. Aluminium window frames are able to be painted with special paints. They are also generally installed to hold heavier panels of glass such as within bigger buildings like retail parks and restaurants. This is due to Aluminium’s lightweight but strong structure. However aluminium conducts heat so they need an insulation strip within the cavity to make it energy efficient, foam insulation can also be used. Aluminium can easily corrode so would not be great for locations close to the coastline.